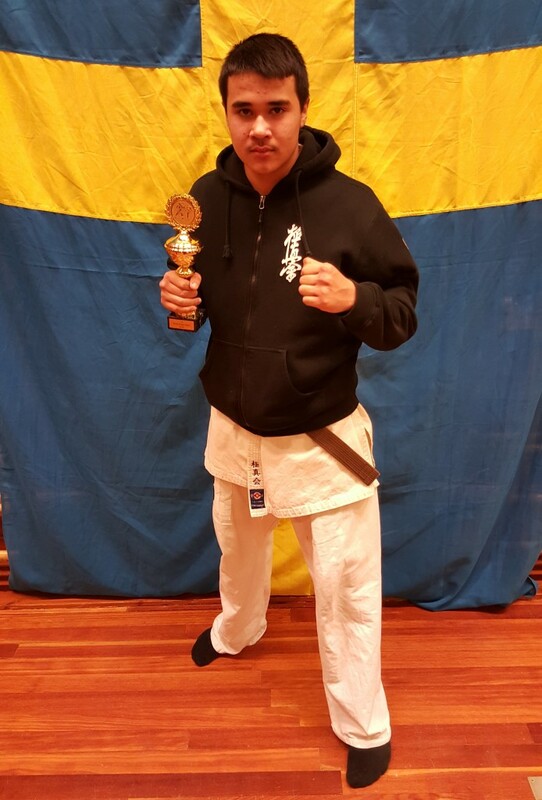 Back home after a great competition weekend with Sweden Kyokushin Union’s national team in 11th Open European Championship Kyokushin Karate in Lisebergshallen, Gothenburg Sweden! I placed my self on the 1st place (GOLD) 🥇🏆 And I’m still the European Champion OSU! 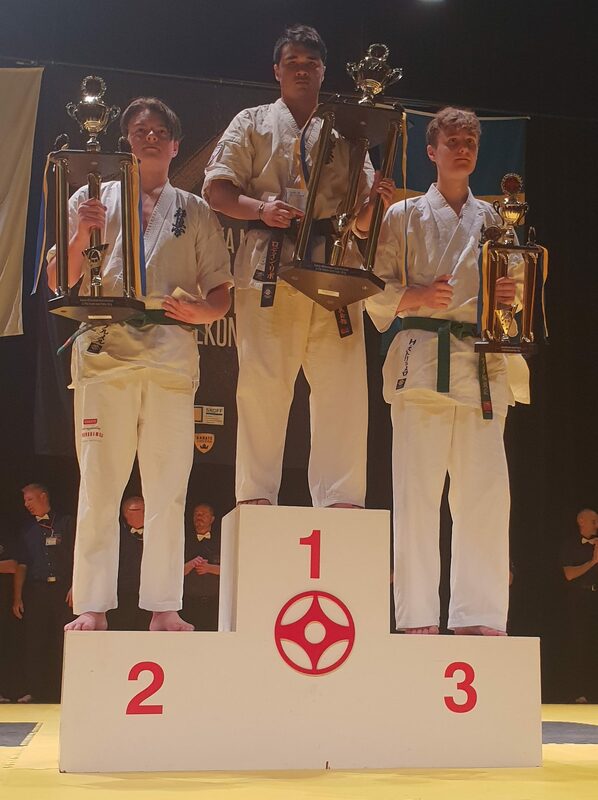 Back home after a great competition weekend in Belgium where i competed in Beker Der Kempen 2018. I placed my self on the 1 place (Gold) OSU! So proud of these 2 girls Senpai Agnes Westrin & Senpai Samantha Karim and myself, today we passed our grade to 1 Dan (shodan) in Kyokushin Karate! 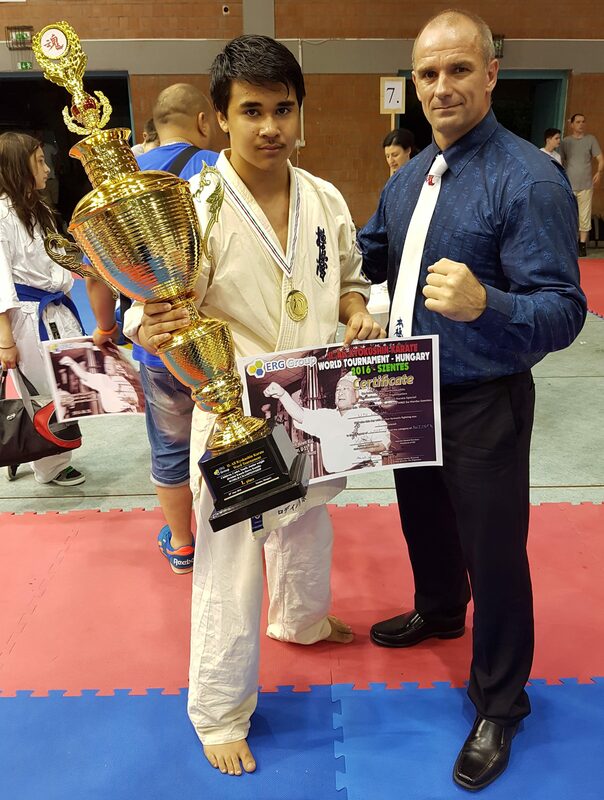 Many thanks to my dad who always supported me over the years and Sensei Hashim who always believed in me. And everyone else who supported us and helped us on the way! Osu! Back home after a great competition weekend in Stenungsund where i competed in Stora Höga Open 2018. I placed my self on the 1st place (GOLD) OSU! 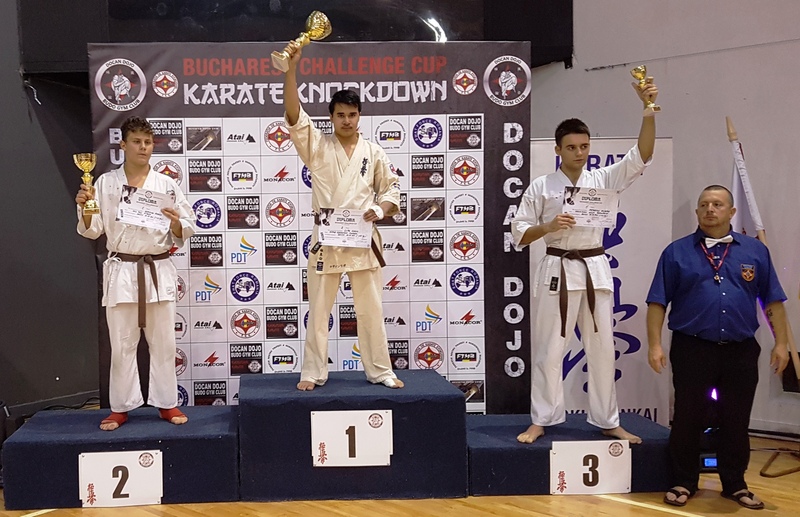 Happy after a great competition weekend in Bucharest , Romania where I competed in Bucharest Challenger Cup 2017. 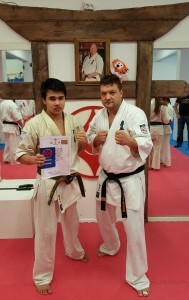 I placed myself on the 1st place (GOLD) and I got price for the Best Fighter in the tournament OSU! 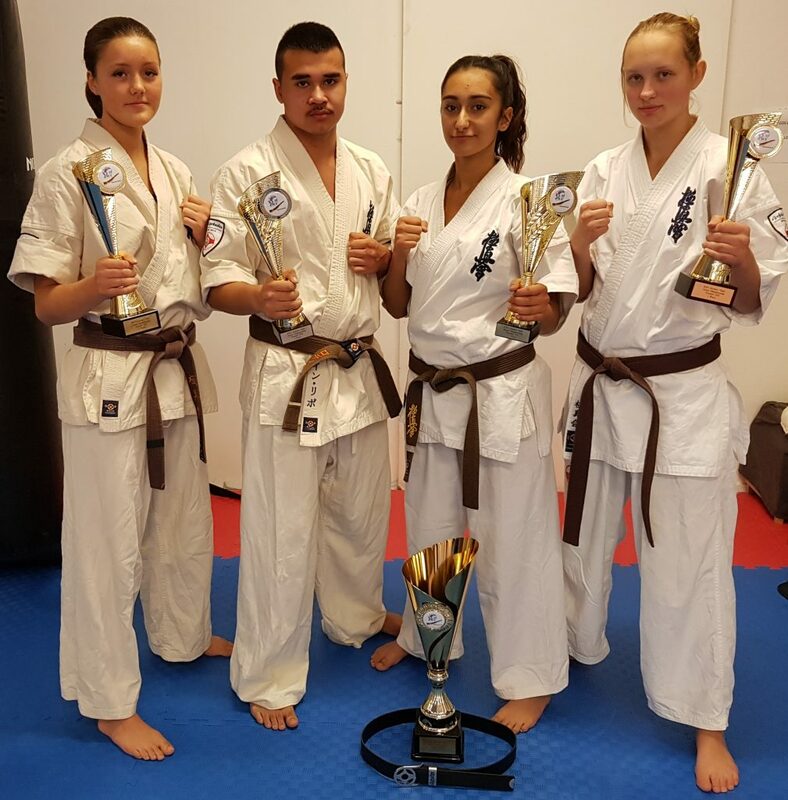 Back home after a competition weekend in Naunhof Germany where i competed in KWU Kyokushin German-Open Juniors Championship 2017. I placed my self on the 2nd place (Silver) OSU! 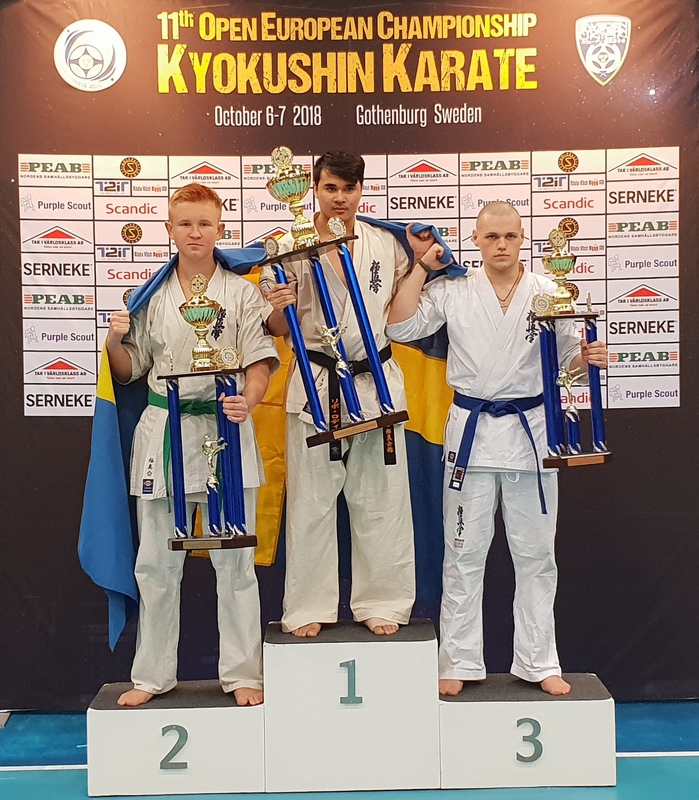 Back home after a great competition weekend with Sweden Kyokushin Union’s national team in Tulcea Romania where i competed in All Japan Kyokushin Union´s 10th Open European Kyokushin Karate Championship. 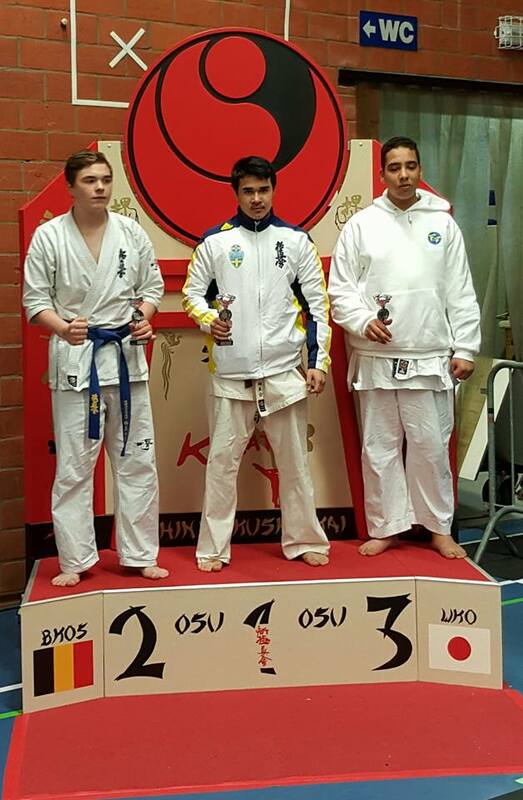 I placed my self on the 1st place (GOLD) and iám European Champion OSU! 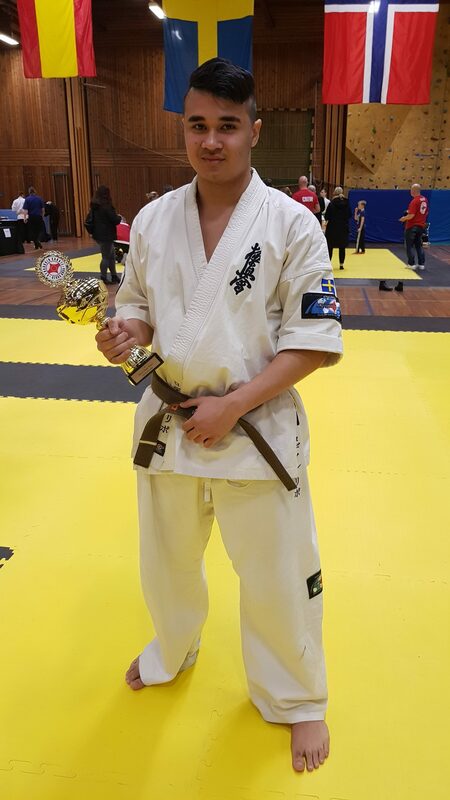 Back home after a great competition weekend in Stenungsund where i competed in Stora Höga Open 2017. I placed my self on the 1st place (GOLD) OSU! 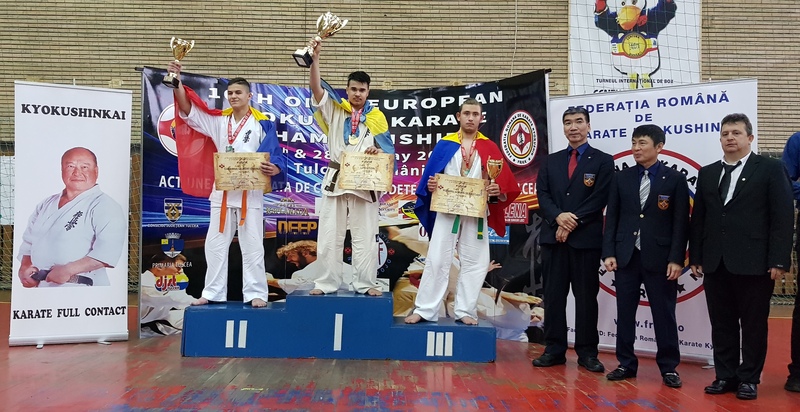 Back home after a great competition weekend in Bucharest Romania where i competed in Bucharest Challenge Cup 2016 I placed my self on the 1st place (GOLD) OSU! 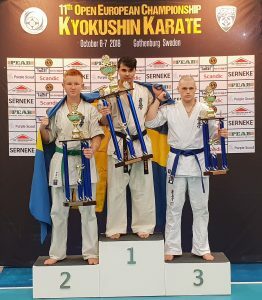 Back home after a great competition weekend with Sweden Kyokushin Union’s national team in Szentes Hungary where i competed in II. 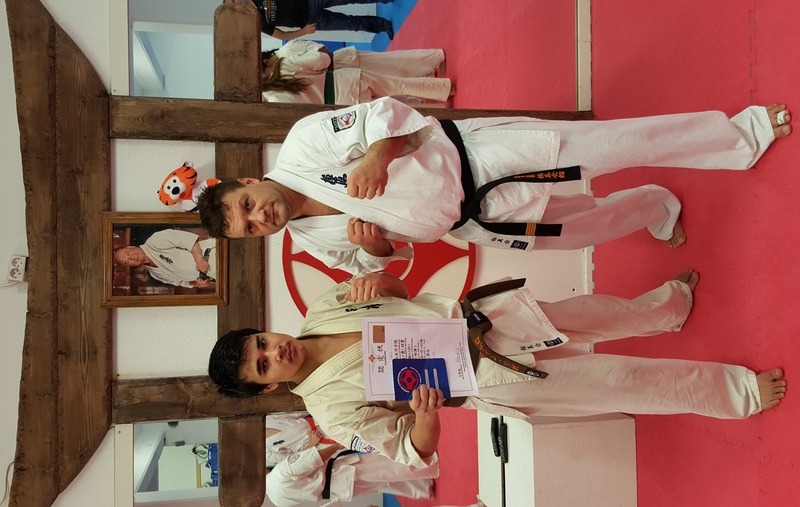 All Kyokushin Karate World Championship Tournament Szentes Hungary 2016 I placed my self on the 1st place (GOLD) and iám Junior World Champion OSU! 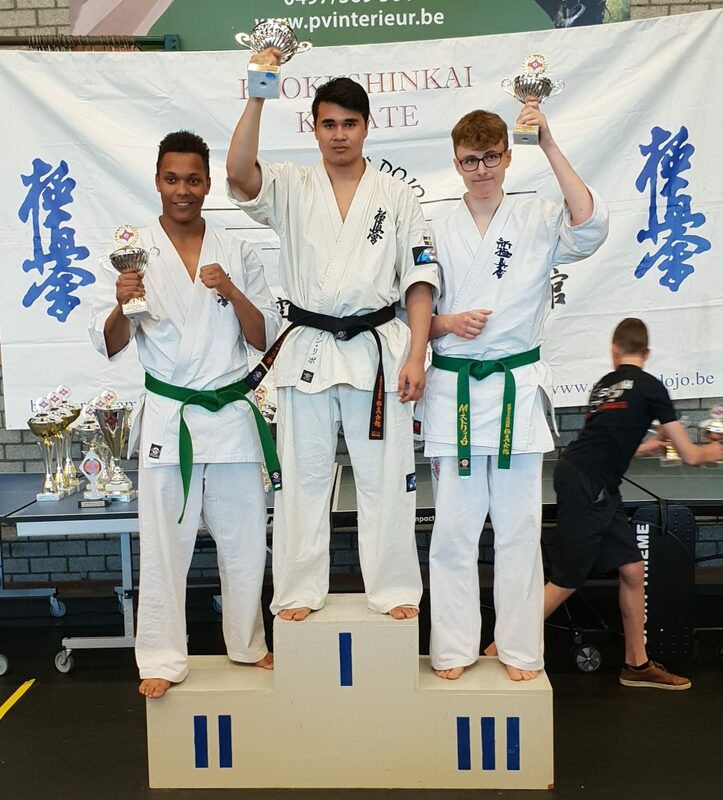 Back home after a great competition weekend in Belgium where i competed in Beker Der Kempen 2016. I placed my self on the 2nd place (Silver) OSU! Lost the final weight by 3 kg. 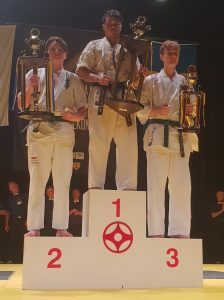 Back home after a great competition weekend in Belgium where i competed in Belgium Shinkyokushin Championship U24 2016. I placed my self on the 1st place (GOLD) OSU! 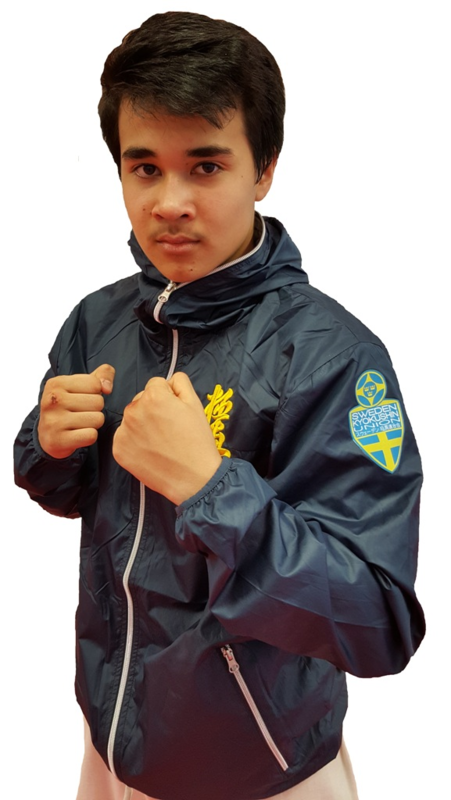 Back home after a great competition weekend in Stora Höga Sweden where i competed in Stora Höga Open Tournament 2016. I placed my self on the 1st place (GOLD) OSU! 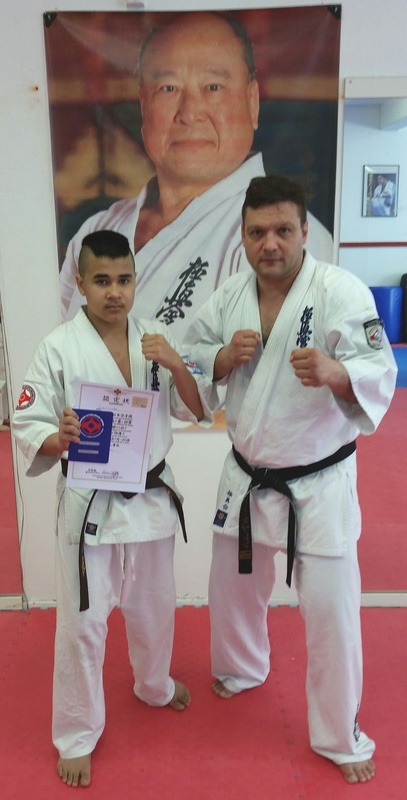 Very happy after a tough grading weekend with Sensei Petar Sprem so I passed the graduation and now I have (Brown Belt with stripe) 1 Kyu. OSU! 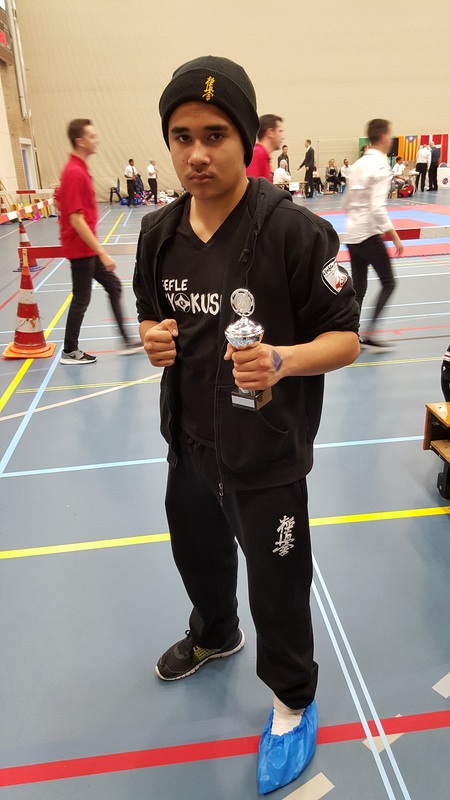 Back home after a great competition weekend in Sneek in Holland where i competed in Waterpoort Cup Tournament 2015. Injured foot in the semi-finals so I chose not to fight in the final. The foot is more important than gold. Take the gold next time! 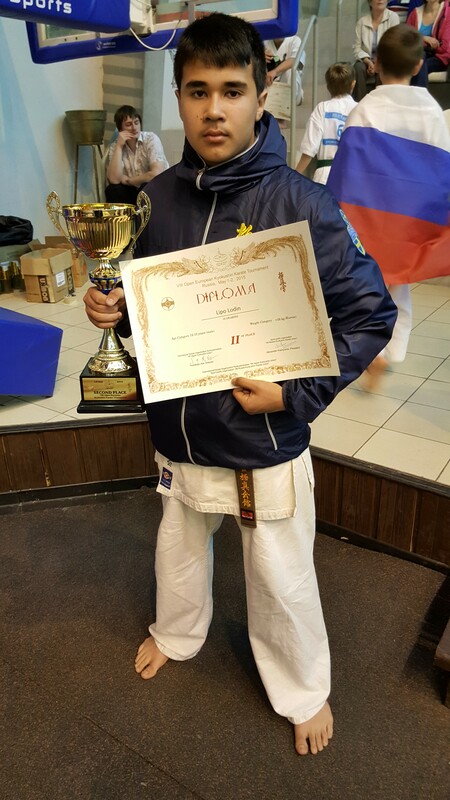 Back home after a great competition weekend in Moscow Russia where i competed in VIII European Championship tournament in Kyokushin Karate with Sweden Kyokushin Union’s national team. I placed my self on the 2 place (Silver) OSU! 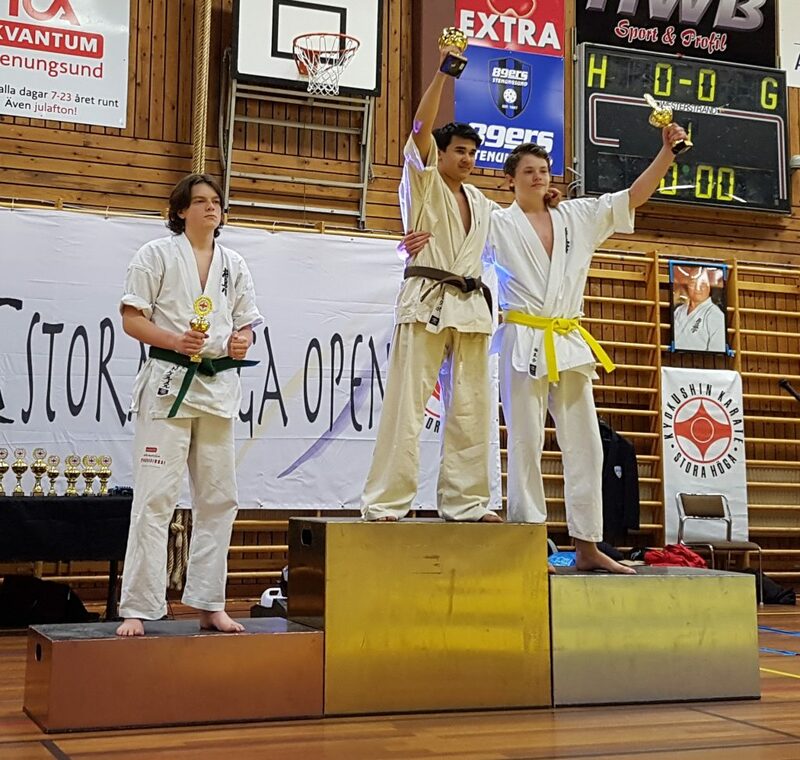 Back home after a great competition weekend in Stora Höga Sweden where i competed in Stora Höga Open Tournament 2015. I placed my self on the 1st place (GOLD) OSU! GOLD in Waterpoort Cup 2014 in Sneek Holland! 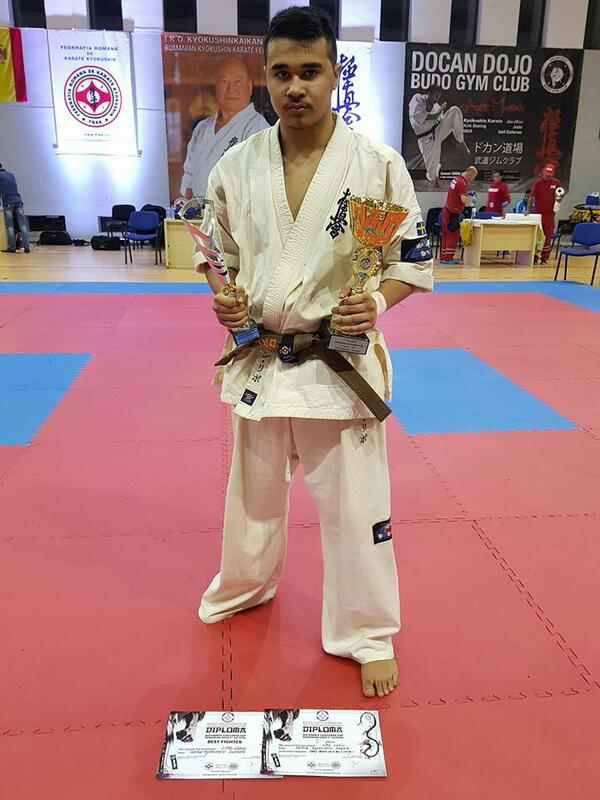 Back home after a great competition weekend in Sneek in Holland where i competed in Waterpoort Cup Tournament 2014. I placed myself on the 1st place (GOLD) OSU! 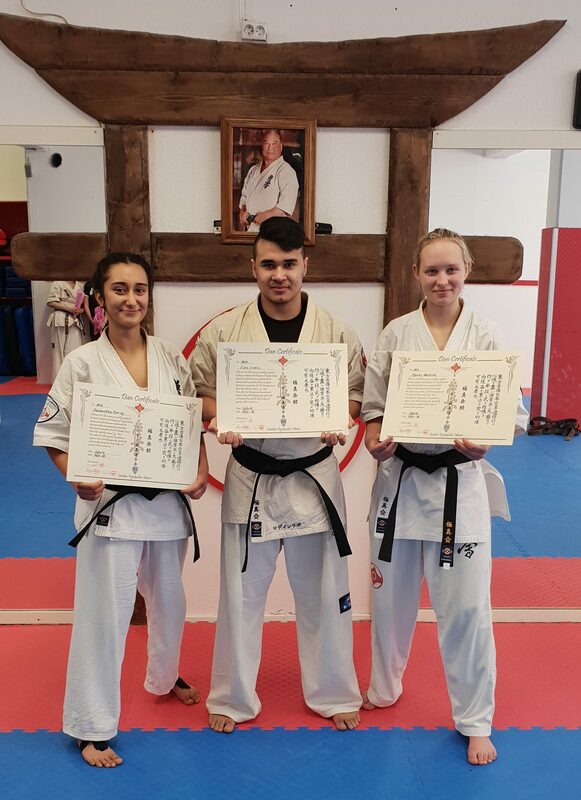 Very happy after a tough grading weekend with Sensei Petar Sprem so I passed the graduation and now I have (Brown Belt) 2nd Kyu. OSU! GOLD in Waterpoort Cup 2013 in Sneek Holland! 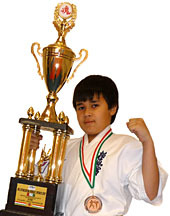 Back home after a great competition weekend in Sneek in Holland where i competed in Waterpoort Cup Tournament 2013. 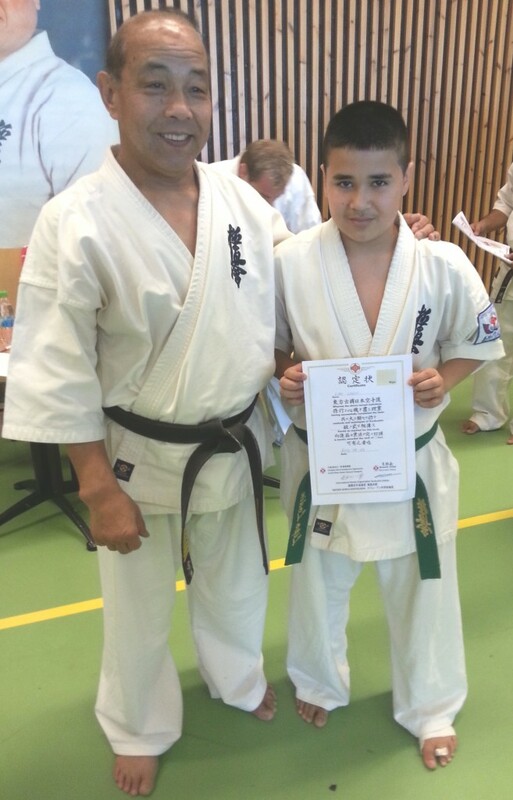 Grand Master Kazuyuki Hasegawa Shihan Grading! 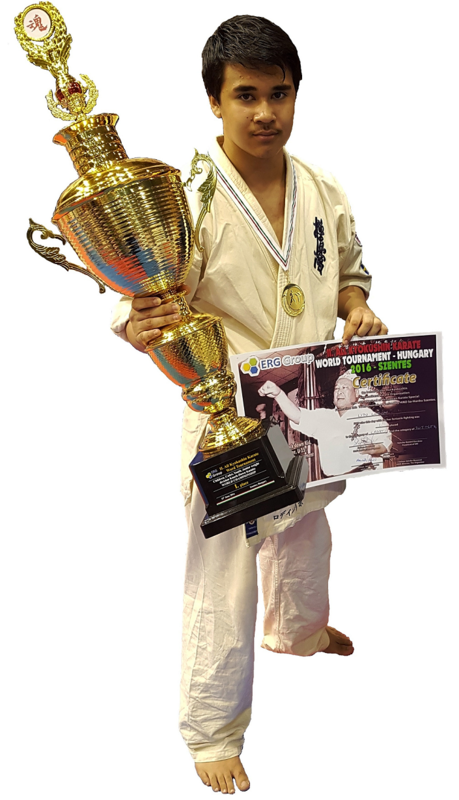 Grand Master Kazuyuki Shihan Hasegawa 9 Dan President of the World Sokyokyshin. The summer camp ended with graduation for me as I passed. I now have 3 kyu. OSU!
" Visit me on Facebook "